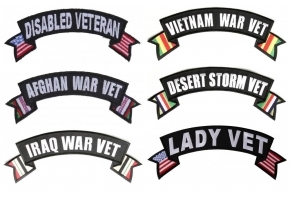 Vietnam War Vet lower rocker patch measures 12x4 inches. 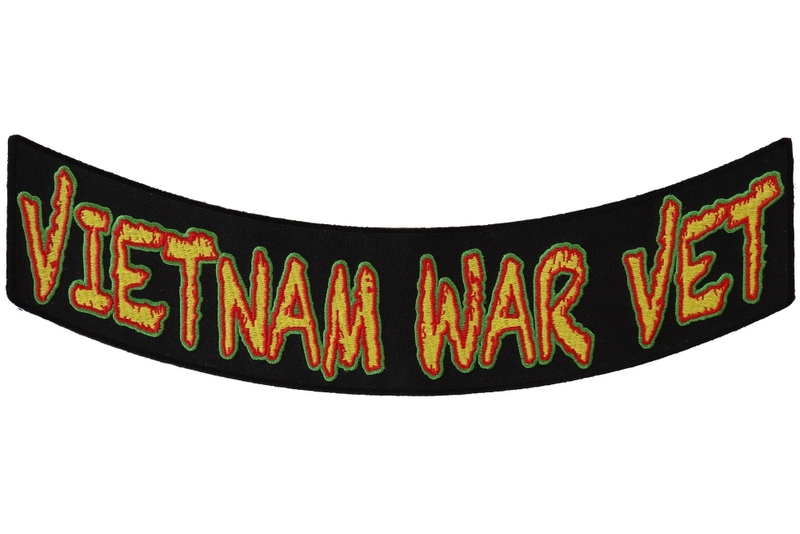 Embroidered in Red Yellow and Green which are the Vietnam Service Medal Ribbon colors. 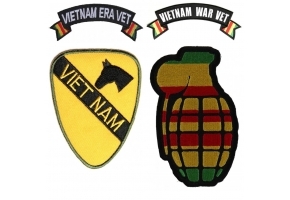 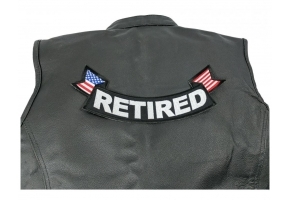 A great lower rocker patch for Vietnam Veterans to place on the bottom back of jackets or vests.